Rachel Bateman is a writer and editor who spends too much time thinking she can out bake the Cake Boss. (Spoiler: She can’t.) She grew up in the middle of Montana, despite living in the south (usually on a beach) in her head; now she lives in The Middle of Nowhere, Wyoming. Yes, that is capitalized, as it is (or at least should be) the official name of where she lives. 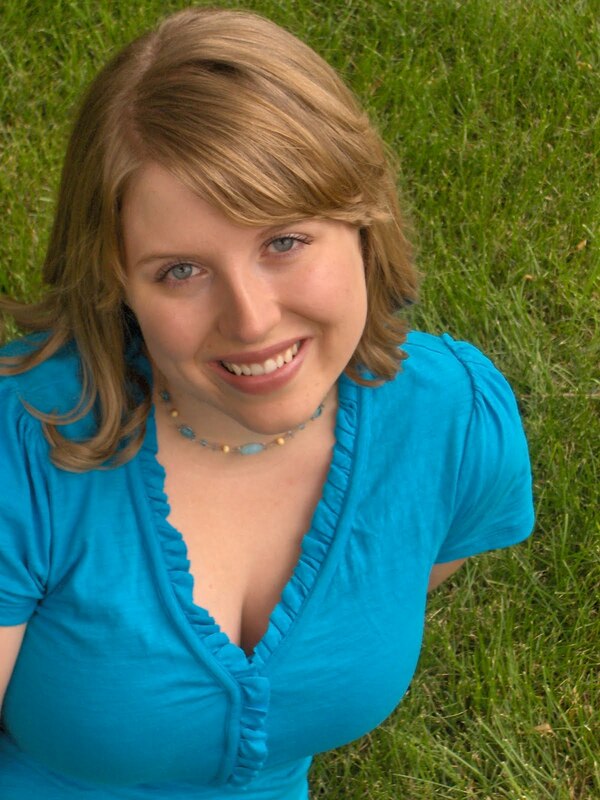 Rachel works as an Associate Editor and Editorial Coordinator for Month9Books. 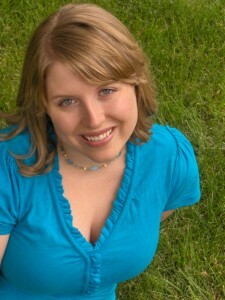 She’s also currently rewriting a manuscript she first wrote around three years ago, called 99 DAYS OF LANEY MACGUIRE. When not writing, editing, or reading books, she can be found playing with her husband, young son, and herd of alpacas. Updates on all projects show up on her blog. Check it out! Let’s see how Rachel answers the Proust Questionnaire! To me, happiness is in the simple things. Like having movie night at home with my family instead of going out on a Friday. Or waking up at three in the morning to watch a meteor shower with my husband because he’s nerdy like that. And it’s definitely when one of my kids asks me for advice and I wing it because I’m still trying to figure it all out myself. These are the moments when I’m overcome by how utterly, beautifully, perfect this whole imperfect life is. Go figure. Rocky Raccoon by The Beatles. I don’t remember the first time I heard it, but I can guarantee I heard it many times before I was old enough to remember it. There are a lot of songs out there––even on the same album––that are much better than Rocky Raccoon, but it’s still my favorite, and has been for as long as I can recall. I see people, like my boss, Georgia McBride, and Hank Green, and Kaleb Nation (and many others), who have this optimism and drive that blows my mind. I know they have struggles just like the rest of us, but I watch as they have an idea, KNOW that it will work, and set out to make it work, and I yearn to have that as well. They don’t hesitate, debating with themselves, worried about failure; they just run with the idea and make it happen. Maybe some people wouldn’t classify that as a talent, but I do, and it’s something I’m constantly working on. True confession: When I was younger, I used to lie about EVERYTHING. The stupidest little things, ones that had no consequence, and I would lie about them. (My dad likes to say that he could come home, smell smoke, and walk in on me holding a burning paper. And I’d say, “It wasn’t me.”) I blame it on the fact that, until I was about four or five years old, I would take the blame for everything my older sister did. And the neighbor kids. It didn’t matter who did it, I would own up and face the consequences. Once I wised up, I didn’t want to face the blame for anything, even if I did it, so I lied. Now, I am a pretty truth-telling person. I lie to my husband sometimes, because I am TERRIBLE at keeping surprises from him, so I totally lie about what I’ve been doing, because if I let on at all that it has to do with a surprise, then I’ll completely spill what it is. Even if he never asks. I also fib to my son sometimes, because, at almost two, he can handle “It’s all gone” way better than “No more.” Yeah, probably I should just say, “No more,” and leave it at that, but sometimes I take the lazy way and say, “It’s all gone,” so he’ll not get so upset. Jumbled. 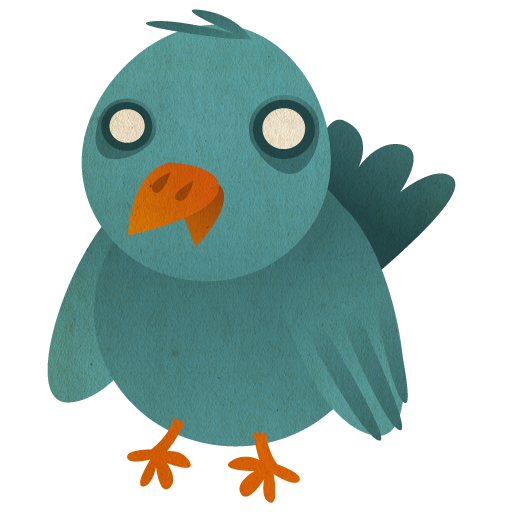 I’m getting over the plague, and trying to catch up on everything I let slide while I was sick. When I am not working, however, I am quite calm, and I love that. I don’t really have one motto that I’ve embraced, but I always try to remember that, “You’ll attract more bees with honey than vinegar.” It’s hard to always be kind, especially to people who aren’t always kind to you, but life is so much better if I am. Which isn’t to say I don’t fail at this sometimes, because I do. A lot. Honesty. Just tell me how it is, rather than avoiding (or worse, lying) to spare my feelings. Also, loyalty. I don’t expect my friends to always agree with me or do what I want, but I do expect enough loyalty that I get the benefit of the doubt in sticky situations. I give those things to my friends, so I like to get them in return. 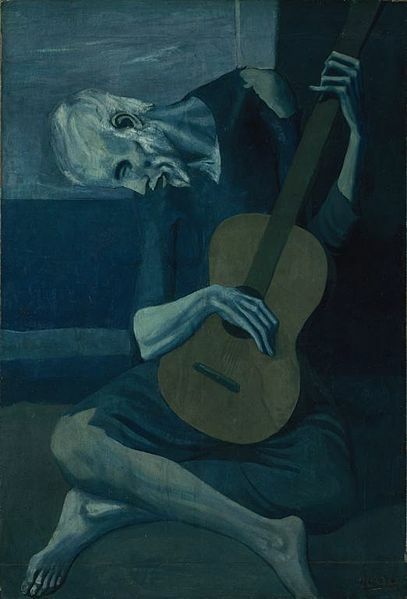 Picasso’s The Old Guitarist. I don’t know what it is about that painting, but I love it. Life. Any time when I’m experiencing something new or exploring the world around me. Even if that’s only through books, as is often the case. Watching my son grow and learn is an amazing journey. Amazing. Oh, this is a tough one. I used to be a morning person, then I switched and was a late night person. Then I had a kid and was forced to be a morning person again. But there is still something kind of magical about being up when the rest of the world seems to be sleeping, when everything is so still and quiet. Well, I don’t drink coffee, but I would like to share a mean cup of hot cocoa with Raskolnikov. He can bring Sonja if he wants. I used to say that if I read for a living, I could die happy. And now I read for a living. Of course, I said that before I had a family, which is my total joy now. I would like to see my son grow up, but even if I don’t, I think I could die happy now. I’d just prefer not to. Water. I was always fascinated by water: the ocean, lakes, streams, rivers, all of it. I wanted to live in the water. I still do, a little. My biggest love is my husband and son, but water is my first. A couple nights ago I dreamed that I called my coworker, Courtney, and yelled at her for getting me sick. Through the internet. From almost 600 miles away. Yeah, the plague does weird things to the mind. The smell of salty air and sunscreen. Just one whiff and I can feel the sun on my face and the sand between my toes, even if I can look out my window and see a foot of snow on the ground. 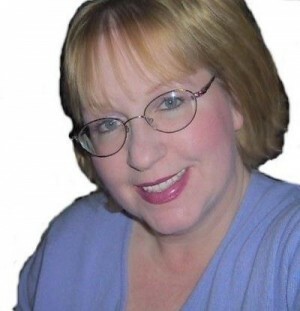 Originally from the coastal area of Maryland, author Terri Grimes and her husband currently live in Louisville KY where she enjoys ghost hunting, photography, travel, cooking and most of all, writing. She specializes in the genre of paranormal romance. As a certified paranormal investigator, she’s been able to intertwine many of her otherworldly experiences into her novels. In spring 2013 she’ll be appearing on A&E’s BIO channel’s “My Ghost Story” where she discusses and shares evidence of an experience she had at the ruins of a nineteenth century insane asylum. This experience is also detailed with many other true ghost stories in her upcoming book, Haunted Kentucky, Tales of a Conduit, a nonfiction novel for America’s Haunted Road trip detailing many of the haunted locations she’s investigated in Kentucky. 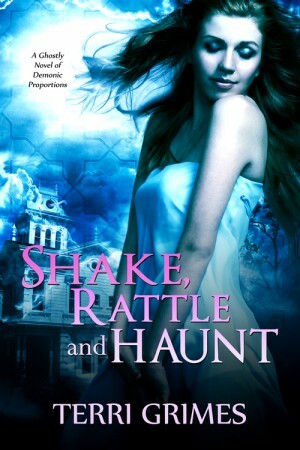 Her current release is SHAKE, RATTLE AND HAUNT, published by Champane Books, and she is represented by Maureen Walters of Curtis Brown, Ltd. 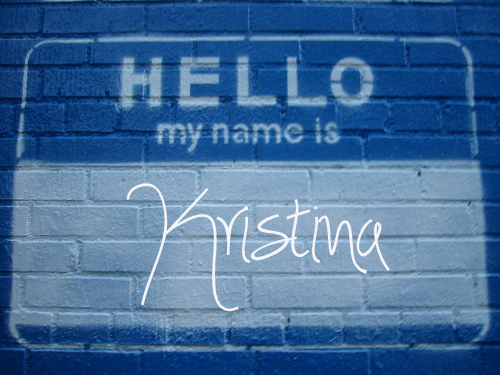 Formerly a financial software support and implementation professional, when not writing she spends her days playing with vampires, ghosts and the occasional zombie, all while still managing to find time to flirt with the UPS man. Let’s see how Terri answers the Proust Questionnaire! I’m a simple girl. My husband by my side, a roof over our heads and plenty of ink in my pen and I’m happy. That changes on a daily basis. I have very eclectic musical tastes. One day I’ll be listening to EimEim and the next day to Roger Whitaker and the next to Godsmack. Today my favorite song is Creep by Radiohead. I found the video with Johnny Depp and Charlotte Gainsbourg from Ils se marièrent et eurent beaucoup d’enfants, a.k.a. “And They Lived Happily Ever After,” which is set to that song and I’ve been playing it all week long. Love, love, love it! For today at least. Frustrated! I live in a condo townhouse. My neighbor bought his unit as a result of a foreclosure. He has spent the last six months gutting the place and DIY remodeling. The noise level has been astronomical! He’s even jack hammered his entire downstairs in order to get all the tile off the concrete slab, which he then proceeded to buff and sand and sand and buff numerous times. My ears are still ringing from that. It wouldn’t be so bad if he limited his construction projects to daytime hours. Unfortunately he prefers to work on his place in the evening hours, all the way up to midnight or later. Honesty. I could add numerous other traits that makes a good friend, but without honesty you don’t really have a true friendship. I’m a big fan of LY words in my own personal speech patterns. I’m sure it drives my editor nuts! Actually, I find myself saying “actually” far too much. Another word I overuse (actually incorrectly) is irregardless. My husband is quick to point out it should be “regardless.” Actually, irregardless, I don’t care. I like it and I’ll continue to use it, irregardless. I’m a big fan of art, so this is a difficult question. It’s hard to pare it down to one painting. There are so many wonderful works of arts. 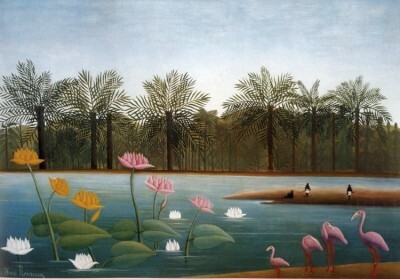 Henri Rousseau’s The Flamingoes (1907) is one of my favorites at the moment. What can I say; I’m a sucker for flamingoes. I wish I could say something profound like, “life.” But actually my favorite journey was my trip to Germany. I’m an avid follower of history, particularly WWII. So not only did I get to see my daughter (who lived in Germany for five long years away from her mommy) but also I was also able to visit historical spots that I had previously only read about. In addition, it was the holiday season so I was able to visit many Christmas Markets. If you’ve never experienced a German Christmas Market you really need to put it on your bucket list. Definitely morning. I love getting up while it is still dark out and the rest of the world is silent. As I sit with my steaming cup of black coffee, I’m always filled with so many possibilities for the upcoming day and what it will bring. I hate to admit it, but Bridgett Jones. She’s my hero. I want to leave my mark on this planet so when I die people will remember me. I’d like to do it in a nice, peaceful, artistic sort of way though. Not a shoot-up-a-fast-food-joint-and-all-its-occupants way. Books! I fell deeply in love with the written word at an early age. Growing up on a farm in rural coastal Maryland didn’t provide much opportunity for interaction with anything other than chickens or cows. So my best friends were Veronica Ganz (Marilyn Sachs), David Copperfield and even Tina Balser (Diary of a Mad Housewife by Sue Kaufman, which I read when I was only eight.) I was blessed to be raised by my grandparents, who gave me the encouragement and freedom to read whatever I liked. It was about two weeks ago around 3:00am. But, to be honest, I think it was a spirit trying to communicate with me through my dreams. Ever since my open heart surgery I’ve been able to see, hear and feel spirits. My heart surgeon says it’s because my heart was stopped during the operation and I was kept alive artificially. He said many people, including himself a year prior, experience going into the light or hovering over their bodies, during the operation. So afterwards you’ve basically got one foot in life and one in death. Back to the dream though; I remember feeling extreme despair, but it wasn’t my own. Then, I heard a loud shotgun blast. At that moment I woke up. My ears were ringing from the blast of the gun. Instantly I knew I was feeling and hearing the moment someone committed suicide. My husband and I were sleeping in my daughter’s guest room at the time, which I know for a fact to be haunted by a previous owner. I think he killed himself in that room and I think he communicated that to me in my dream. I believe he was suffering from a long, terminal illness and he couldn’t take the pain anymore. Absolutely my granddaughter, Jasmine. Sweet as a sugary pink cupcake, yet fiery as a ghost chili, she rocks my world!